CARACAS - While tensions between President Trump and CNN dying down, a new scandal has erupted for the cable news network after Venezuela’s President Nicolas Maduro said on Sunday he wanted CNN out of the country, accusing it of spreading fake news, misrepresenting the truth and meddling in issues that are not of its concern. "CNN, do not get into the affairs of Venezuelans. I want CNN well away from here. Outside of Venezuela. 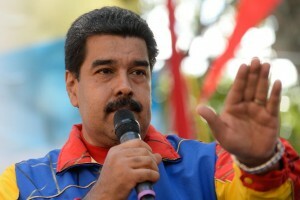 Do not put your nose in Venezuela," said Maduro during a political statement. Quoted by Fox News, Maduro made the comment after blaming the U.S. network of distorting the facts when reporting on irregularities at a Caracas public high school. "Some media like CNN tried to manipulate. They cannot manipulate! That is our business, of the Venezuelans," he said. Last week PanAmPost reported that a student demanded on national television that the president improve the conditions of his school, asking for security, infrastructure and food so his classmates wouldn’t faint from hunger anymore. CNN en Español visited the high school and talked with the staff about the student, and whether Maduro had made any improvements since that incident only to discover he had not.